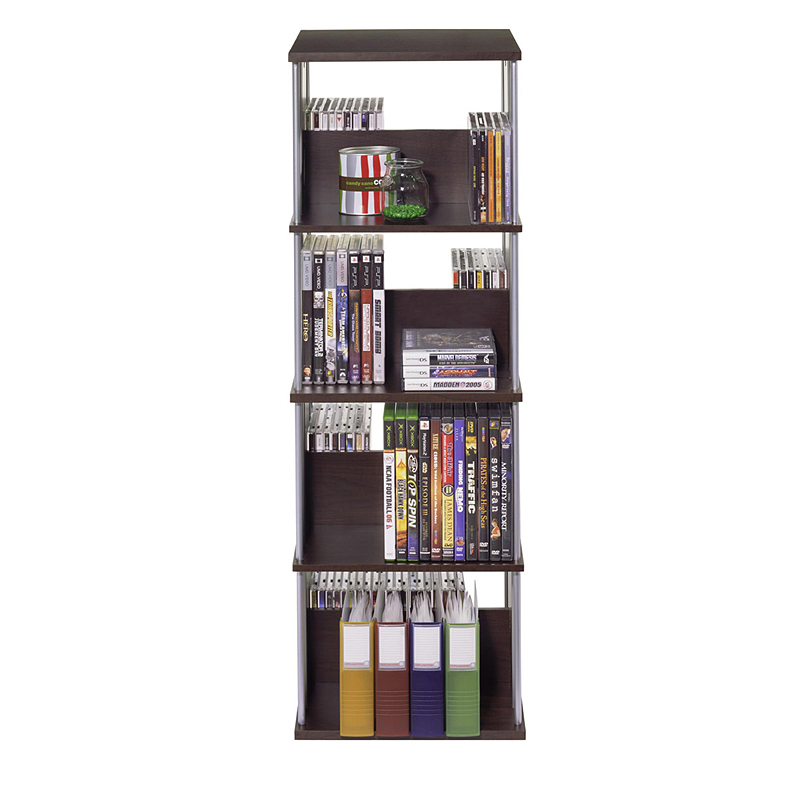 More on the Atlantic Typhoon Media Tower Spinner for CDs DVDs and Bluray (Espresso with Silver) 82635716 below. Multimedia unit designed specifically to hold all media types. Fully rotates 360 degrees for optimal access to all media. Stylish design in Espresso with Silver fits all types of décors. Ball bearing rotating base provides smooth operation. 8 shelves provide maximum capacity storage. 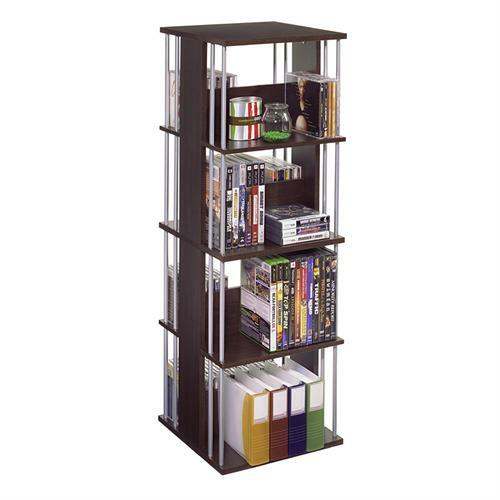 Space-saving double-sided configuration allows for flexibility in organization. Accommodates up to 216 CD or 144 DVD/BluRay/Games.